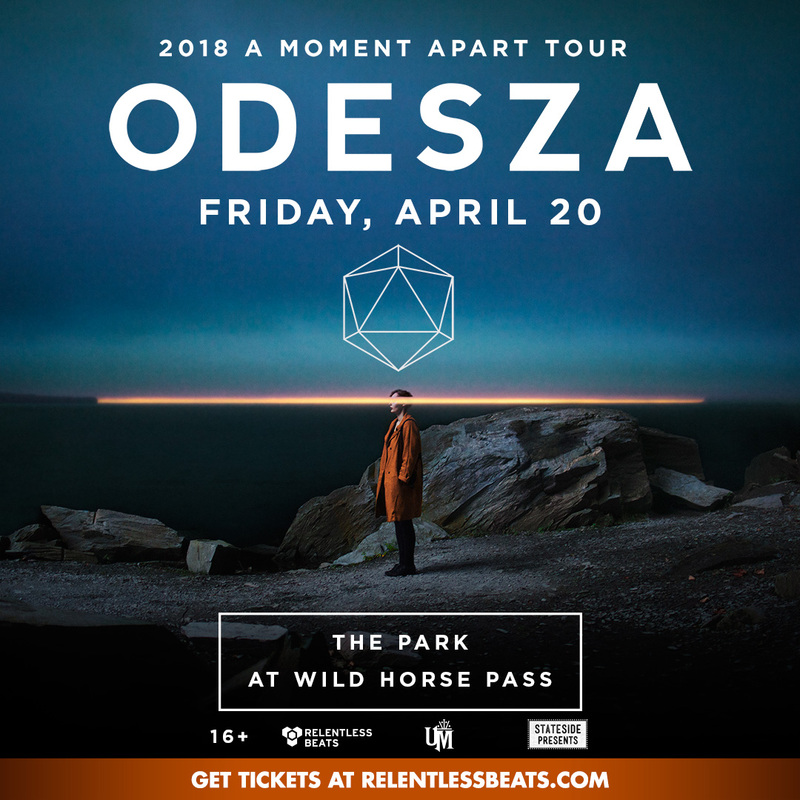 Relentless Beats, Universatile Music, Stateside Presents, and Wild Horse Pass present ODESZA at The Park at Wild Horse Pass on Friday, April 20, 2018. 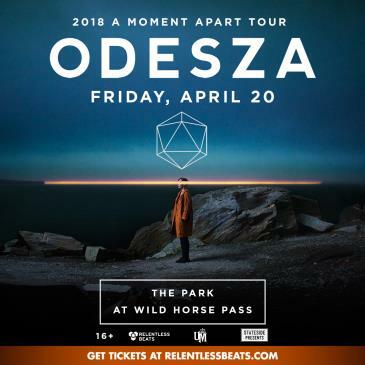 This show is 16+, 15 or under must be accompanied by an adult. This show is rain or shine. Early arrival highly recommended. Every member of the audience must be subject to a search upon entry to the venue. Anyone carrying a laser pointer, taperecorder, audio device, video or motion picture camera or a professional still camera must be denied entrance. Cell phone cameras,disposable and instamatic cameras are allowed in the venue. Any member of the audience found with any weapon or potentially dangerous object must be IMMEDIATELY accompanied to the exit and denied entrance to the venue. Decorated festival ‘totems’ are okay to bring – NO TALLER THAN 6FT. – Inflatables attached to totems must be deflated upon entry. Please note that any items that are deemed dangerous may not be admitted into the event. Please note that anything deemed inappropriate, insensitive, or distasteful will NOT be admitted to the event. Totems will undergo security/guideline check upon entry to the event. Totems that do not meet these guidelines will either be disposed of or taken back patrons vehicle.